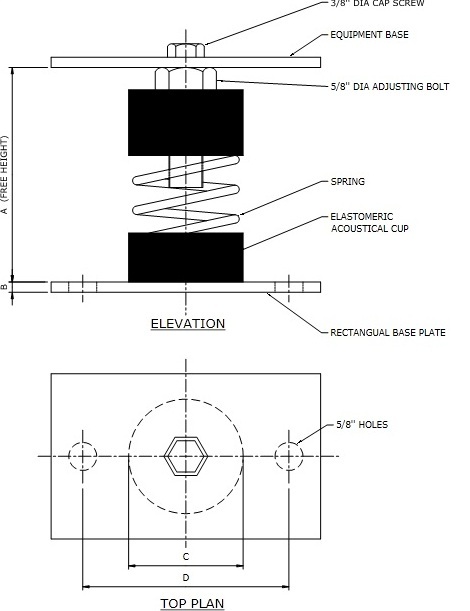 RCD or RCE series spring mounts are unhoused laterally stable steel springs contained in molded neoprene acoustical cups (weld free construction) with a levelling bolt assembly. The spring mount can also be supplied with a base plate, if required, to be bolted to the floor. These spring mounts are recommended where both horizontal and vertical stability are required.